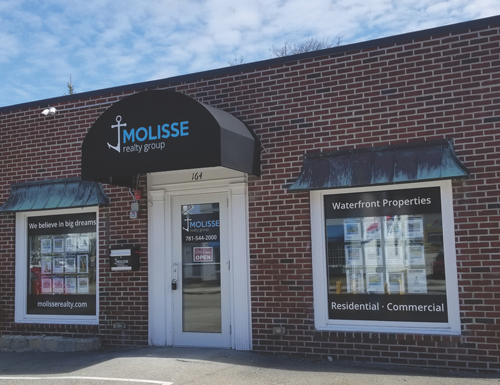 Molisse Realty Group is proud to announce the opening of their new 1,700 square foot office location in downtown Scituate. Specializing in residential and commercial real estate, Molisse Realty Group professionals are experts in the nuances of waterfront properties as well as the North and South Shores’ luxury home markets. The new office, located at 164 Front Street, opened for business on March 20th. For more information and assistance with all your real estate needs, stop by or contact one of our experienced agents at 781-544-2000. Molisse Realty Group agents make it their objective to guide their clients through every step of the transaction. When you enlist an agent of Molisse Realty Group, you can be assured that your best interests will always come first. They will do everything in their power to make your home buying or selling experience a pleasant and satisfying one and will be there for you even long after the transaction has closed.